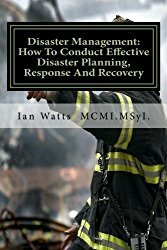 Buy this hot book on disaster management! Buy Reliable Smart Phones for Emergencies! The Meaning of Resilience in Disaster Research? What is the Effect of Normative Pluralism to Post-Disaster Recovery?